Trying out a Pinterest board of my work. There are so many different social media platforms around these days, but I started with Pinterest before all of the others. Do you use Pinterest? How do you find it compared to Instagram or Twitter? 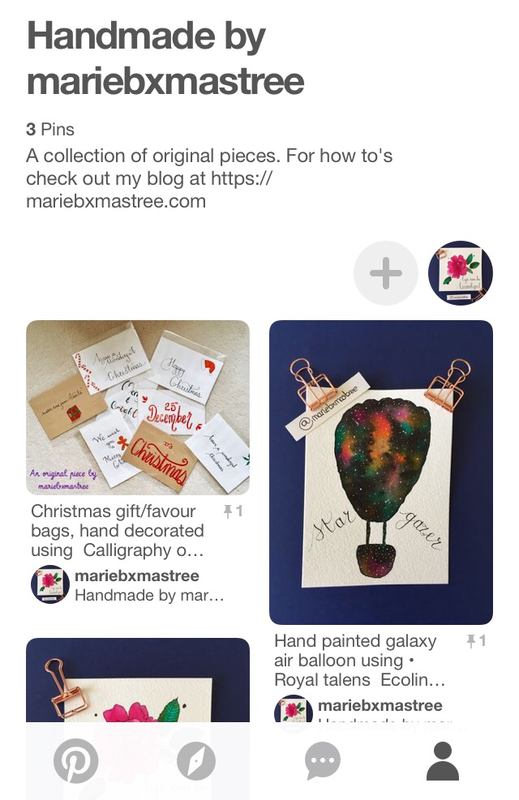 Next postA Christmas tree galaxy – Watercolour & Christmas. I use Pinterest for planning what products to buy for home or what clothes I’m going to buy 😀 It’s like a huge shopping list for me!